Thirimanne’s 155 off 128 balls propelled Team Galle to a massive total of 337 for the loss of seven wickets, but no play was possible in the post lunch sessions due to heavy rains. Team Galle and Team Colombo were adjudged joint champions of the tournament. 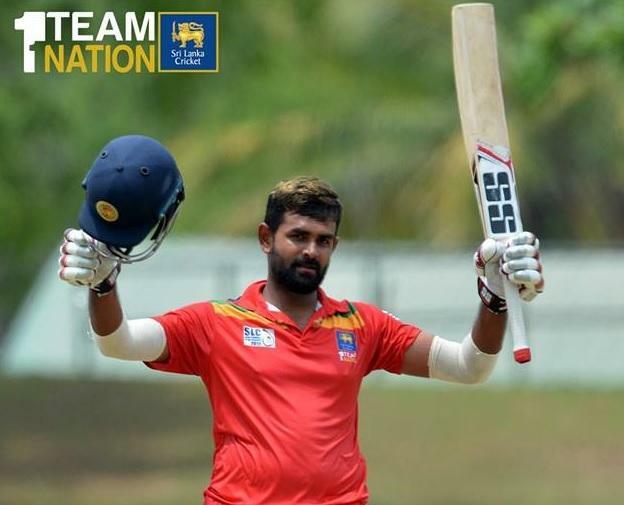 Opener Thirimanne was well supported by Wannidu Hasaranga who made a quick-fire 87 off 53 balls with 13 boundaries and a six. The due shared 144 runs for the fifth wicket in 16.3 overs as Team Galle scored their second 300 plus score in the tournament. The tournament was organized to finalise the 15-man squad that will travel to England for the global showpiece in May.